Visegrád was one of the most important towns of medieval Hungary, serving as a royal residence for much of the 14th century. 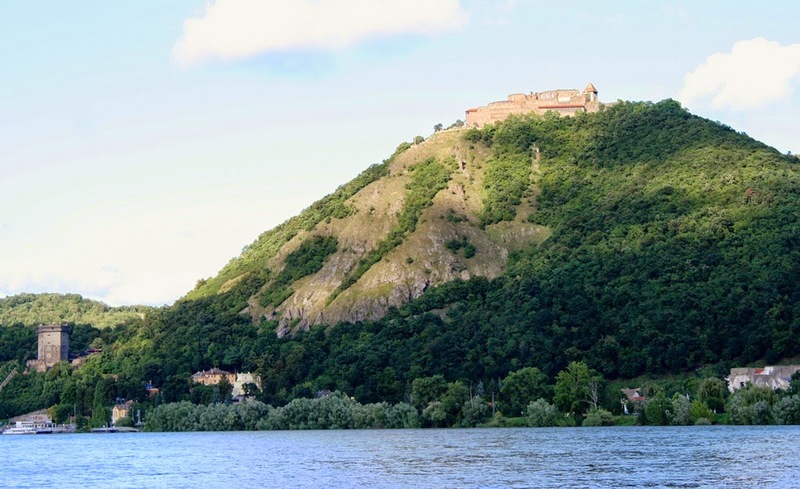 The town is ruled by a majestic castle on top of a hill overlooking the Danube, while a monumental 13th century keep guards the road under the hill, by the river. Even more famous is the large royal palace, expanded and embellished by King Matthias Corvinus. However, until recent times, relatively little information has been available on Visegrád in English. 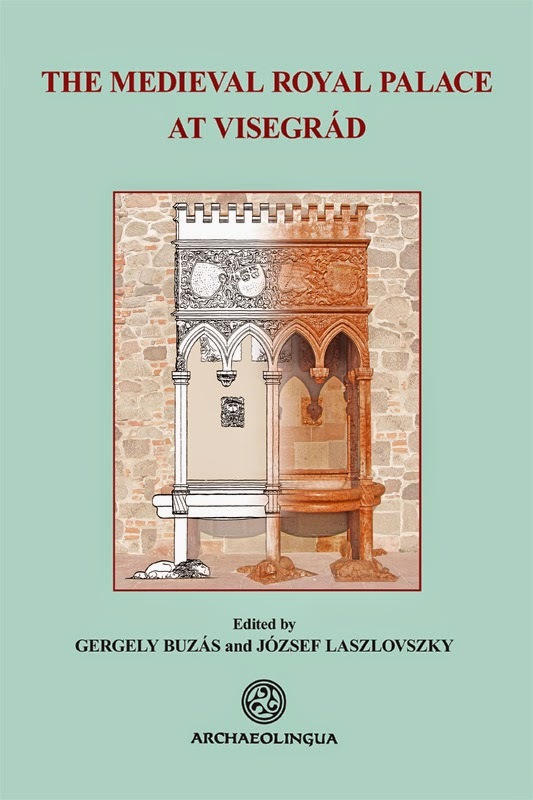 One should mention the volume edited by László Gerevich, titled Towns in Medieval Hungary (1990), where Gerevich himself briefly considered Visegrád in the framework of a general study. 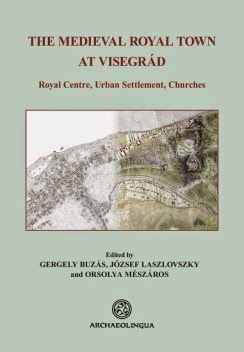 The other book to be mentioned – titled Medium Regni – dealt with Hungarian royal centres in the middle of the Kingdom, and here Gergely Buzás provided an overview of Visegrád, focusing on the royal residences. the history and topography of the settlement itself. 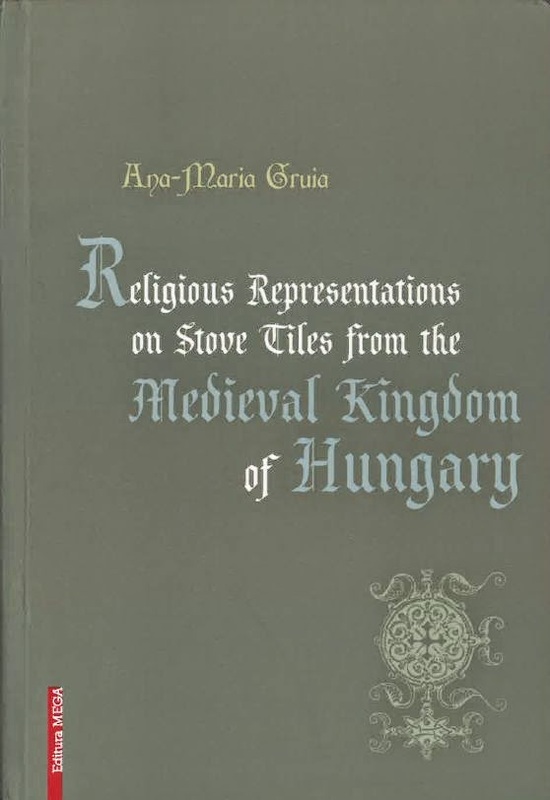 In 1995, an English-language volume - titled Medieval Visegrád - was published about the royal palace and the Franciscan monastery standing next to it, and the royal palace was also featured in a number of exhibition catalogues and study collections. In addition, a book is available on the Hercules fountain attributed to Giovanni Dalmata. 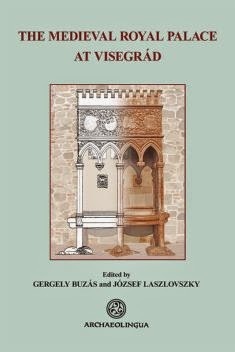 Archaeolingua publishers in Budapest started a new series about medieval Visegrád, of which so far two volumes have been published. The books provide up to date information about this important royal centre. The first volume in the series was dedicated to the most important monument in town, the medieval royal palace and the neighbouring Franciscan monastery. While a lot has been published on the royal palace in Hungarian, this volume is the first extensive treatment of the subject in English. You can read a review of the book by Pál Lővei in Hungarian Archaeology (2014 Spring). The second volume is dedicated to the town itself, which has always been overshadowed by the royal residences located there. Yet, for extended periods during the 14th century, Visegrád served as the capital city of the Kingdom of Hungary, and thus is worthy of our attention. The neglect of previous decades has been redressed by extensive archaeological research during recent years and now by this very important publication. The book relies on the results of new excavations and the research of one of the authors, Orsolya Mészáros. She is joined by a number of well-known experts of medieval archaeology and history: including the two other editors of the volume, Gergely Buzás and József Laszlovszky. Both have dedicated a considerable number of publications to Visegrád before, and Buzás has worked at the King Matthias Museum of Visegrád for a long time, serving as its director since 2011. The fourth author is Katalin Szende, a noted historian working on late medieval Hungarian towns. From their analysis presented in this volume, the special character of Visegrád emerges. Although regarded in the Late Middle Ages as one of the most important towns of the kingdom, the settlement in fact was not significant when the court was away. It had no (or only regional) economic significance, no ecclesiastical institutions of national significance, no serious fortifications (apart from the fortifications of the royal residences). The presence of artisanal guilds cannot be demonstrated and only a very small number of the town’s citizens are known to have studied at foreign universities. Even when the court was at Visegrád during several decades in the 14th century, Visegrád was not regarded as the capital of Hungary – that role was reserved for Buda. The main reason of its emergence during the 14th century was that high-ranking nobles and court officials owned houses there, which also served as their offices. No wonder then, that when the court left in the early 15th century, Buda (and Pest on the opposite side of the Danube) far surpassed Visegrád in importance. Although Visegrád retained its privileges until the end of the Middle Ages, during the 15th century it was only a small settlement next to an important royal residence, the royal palace. These books provide a welcome addition to the growing library of books on medieval Hungary available in English. It is to be hoped that the series will continue: the Árpád Period settlement of Visegrád – with the bailiff’s castle, the archdeaconal church as well as the 11th century monastery of St. Andrew – and the Upper and Lower Castle certainly provide ample material for future volumes in the series, and I hope we can see these soon. I wrote a more extensive review of the second volume, dedicated to the town, which can be read in English or in Hungarian in the Spring 2015 issue of Hungarian Archaeology. The Medieval Royal Palace at Visegrád. Edited by Gergely Buzás and József Laszlovszky. Budapest, Archaeolingua, 2013. The Medieval Royal Town at Visegrád – Royal Centre, Urban Settlement, Churches. Edited by Gergely Buzás, József Laszlovszky and Orsolya Mészáros. Budapest, Archaeolingua, 2014. I would like to call attention to two (actually, three) Hungarian online journals, dedicated to archaeology. The first one is directly relevant to the topic of my blog, as it generally deals with medieval archaeology. 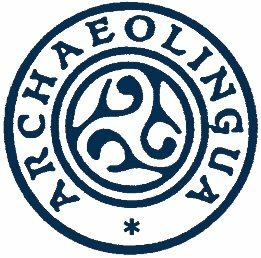 Titled Archaeologia - Altum Castrum Online, the magazine is published by the King Matthias Museum at Visegrád, a branch of the Hungarian National Museum. The magazin is edited by Olivér Kovács, and it is coordinated by the director of the museum, Gergely Buzás. The articles report on interesting new discoveries in the field of medieval archaeology, and there is section where longer studies are also published - generally in nicely formatted PDF-files. The only problem is that content is only available in Hungarian. The magazine works together with another online portal, the Hungarian-language műemlékem.hu. This site is a one-stop starting point for getting information on historic monuments in Hungary, complete with user-submitted information, and informative magazine-section and a project focusing built monuments in the Carpathian basin, outside the borders of modern Hungary. The editor of this portal is also Olivér Kovács, who must be quite busy, I imagine. The two websites mentioned so far are important sources of information for the Medieval Hungary blog as well. The other new e-journal is titled Hungarian Archaeology, and is published by Archaeolingua Foundation, the premier Hungarian publishing house in the field of archaeology. This quarterly journal is published both in Hungarian and English editions, and contains a wide range of studies dedicated to all periods. It is a forum to spread information not only on archaeological research in Hungary, but also on the work of Hungarian researchers working at excavations in various parts of the world. Naturally, there are articles in almost all issues dedicated to medieval subjects. The e-journal is currently in its second year: so far 6 issues have been published online. You can read more about the goals of the publishers and editors here. Go ahead, and browse the journal - you will surely find something interesting! A new temporary exhibition opened last Saturday at Vác, dedicated to the medieval history of the region known as the Danube Bend. Stretching from Esztergom through Visegrád down to Szentendre, the area includes some of the most important medieval settlements of Hungary (towns located in the Medium regni, as the central part of the kingdom was known). The exhibition was organized by the Pest County Museum, centred in Szentendre, with the cooperation of other major museums of the region: the Balassa Bálint Museum of Esztergom and the King Matthias Museum of Visegrád. The exhibition is on view at Ignác Tragor Museum of Vác (in the former Greek Orthodox church), the museum of another major city in the region, located on the other side of the Danube. 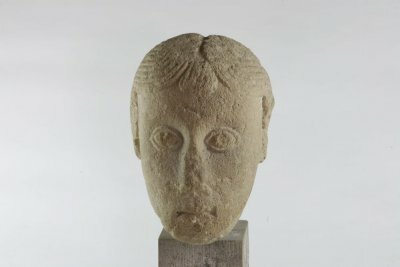 As the well-established system of Hungarian county museums is currently being completely shaken up and reorganized, the exhibition can be seen as an attempt to demonstrate the power of the old system - capable of cooperation, joint organization and the like. (Hungarian-speaking readers can read about the changes for example here - I could not find any English-language reports on this major reorganization). Of the towns mentioned above, Esztergom was and is the seat of Hungary's primate archbishop and a former royal seat, Visegrád boasts a royal castle and a royal palace at the bottom of the hill, and Vác was (is) an important bishopric, while Szentendre was a small market-town along the Danube. Thus there is plenty of material to show in an exhibition dedicated to the region - the exhbition instead is adapted to the small exhibition space, and focuses mainly of recent archaeological finds. 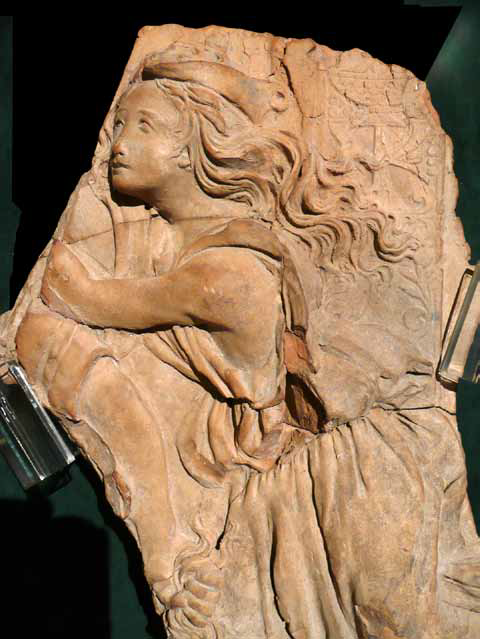 This include - among others - a Romanesque baptismal font recovered at Vác, as well as a fragment of the 15th century terracotta relief showing the Battle of Amazons, and attributed to Gregorio di Lorenzo (formerly known as the Master of the Marble Madonnas). The exhibition will later also be shown at Szentendre, Visegrád and Esztergom. As the Esztergom Museum and of course the royal palace at Visegrád both have their significant medieval exhibitions, the present exhibition will clearly appear in a different light at future venues. I have not yet seen the exhibition, and I could find no information on the websites of any of the museums involved. (The invitation to the opening ceremony can be seen here). The curator of the exhibition was Tibor Ákos Rácz, and was opened by Imre Takács, director of the Museum of Applied Arts, and a noted medieval art historian himself. While we are on the subject of the Danube bend, I would like to mention related news as well. At the King Matthias Museum in Visegrád, visitors can see a temporary museum in addition to the permanent displays. Titled "Not without a trace...," the exhibition displays finds from the period of the Magyar Conquest, from the collection of the Pest County Museum. Star attractions of the show are recent finds from the vicinity of Bugyi - about which I reported earlier. The traveling exhibition is on view at Visegrád until October 28th. Archaeologists of the Pest County Museum also had luck late this summer - the very low water level of the Danube enabled them to recover a medieval shipwreck in the Danube Bend. Discovery News reports on the find. Maybe objects from this boat can be incorporated in the next incarnation of the "Danube Bend in the Middle Ages" exhibition. On August 29 1526, the army of Suleiman the Magnificent defeated the Hungarian army at Mohács. King Louis II died on the battlefield, and the sultan's army marched on to take the capital, Buda. At that time, the Turkish army withdrew - but in 1541, Suleiman took the capital of the divided kingdom without having to lay siege to it. Two years later, he occupied the towns of Pécs, Székesfehérvár and Esztergom, and Visegrád fell soon after that. Thus all the centrally located towns - the Medium Regni - became part of the Ottoman Empire for 150 years. 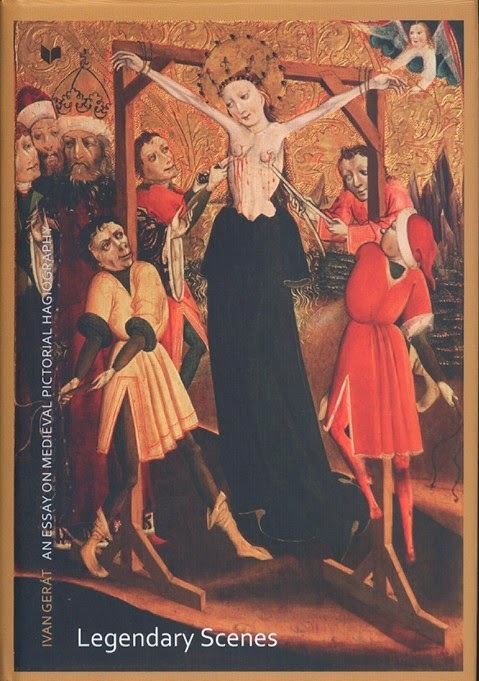 Because of the prohibition of figural religious imagery, this period led to the destruction of altarpieces, paintings, statues and to the covering up of frescoes. Damage to buildings was caused by neglect, but even more during the wars waged in order to reconquer these towns, especially during the Long War ('15 years' war,' 1591-1606) and the final campaign of 1683-1687. When the towns were retaken by the Christians, it was largely ruins what they found. Remains of important medieval buildings were generally taken down as new structures were erected during the 18th century. As a result, the most important medieval sites of Hungary only survived as ruins, their remains recovered during various archaeological campaigns. The sites include Buda, the capital of the Kingdom; Esztergom, the seat of Hungary's Primate Archbishop; Székesfehérvár, the coronation and burial place of Hungarian kings; and Visegrád, perhaps the most important royal castle complex of the land. The photos below illustrate what little is left of these sites. Rather than illustrating the destruction (about which many contemporary prints were made), I chose mainly photos showing moments of discovery - although the first example will be of destruction. 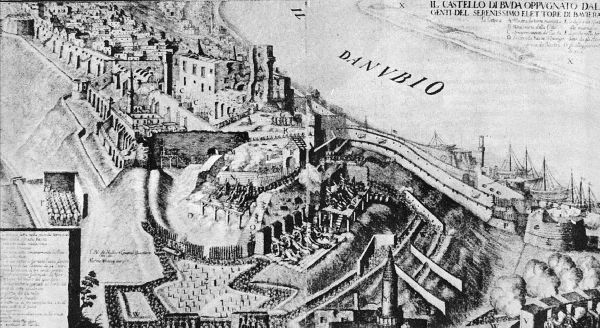 This is an image of Buda castle from 1686, at the time when the center of the Kingdom was retaken by the joint Christian armies. The print shows the castle hill, with the ruins of the medieval royal palace on top of the hill. Very little of this survived when the new, Baroque royal palace was built in the 18th century. The territory of medieval Hungary was very rich in castles. Castles served as the centers of royal counties, and they were also the centers of noble estates. The first large wave of castle-building took place during the second half of the 13th century, after the disastrous Mongol invasion (1241). It became clear at that time that only a strongly fortified stone castle can stop invaders. A strong line of defence was also built up along the southern frontiers of the country during the 14th-15th centuries, with the intention of stopping the advancing armies of the Ottoman empire. However, the medieval kingdom of Hungary fell at the battle of Mohács (1526), and many castles of the realm became ruined during the ensuing 150 years of wars. Thus many medieval castles survived only as ruins, although there are several well-preserved structures, especially in the northern part of the former kingdom (present-day Slovakia and in Burgenland county of Austria). Transylvania is also rich in castles - there we also find a large number of fortified churches as well. 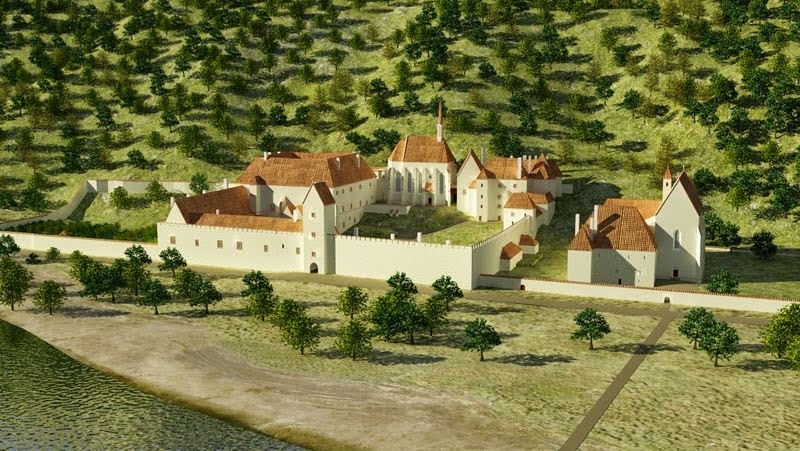 If you would like to know more about the castles of Hungary, you should visit the website dedicated to documenting these buildings. 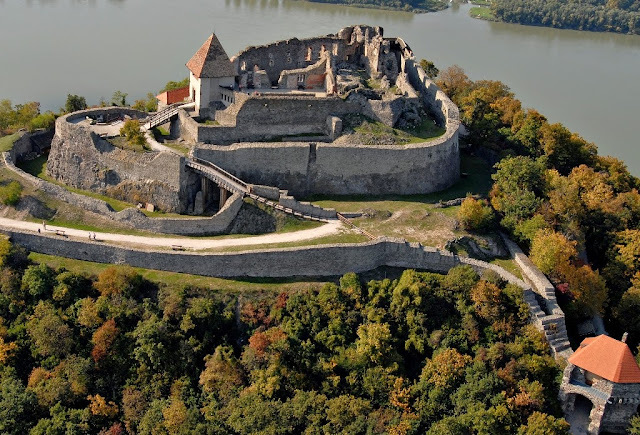 The website - Castles of Historical Hungary - presents hundreds of castles with photographs, drawings and descriptions. Unfortunately, not much else than the introduction is available in English at present - but you can still browse the list of castles and enjoy the photographs. The enormous amount of information that appears on this website resulted in a new book, which presents castles in Transylvania (actually, all the regions of the Kingdom of Hungary ceded to Romania at the Treaty of Trianon, in 1920). 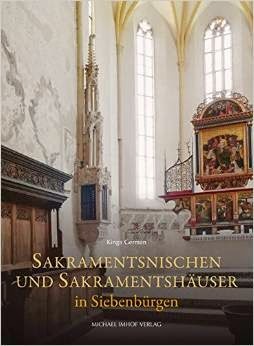 The book presents a total of 600 castles and fortified churches, with photos and drawings. You can browse sample pages here and order the book here (it is actually unclear to me whether they would ship the book abroad or not).